It was while researching the French explorer Nicolas Baudin that Australian children’s author, Chrissie Michaels came across one of those gems that every writer loves to find. It was the story of a young convict girl, who was transported to New South Wales for theft and ended up as a passenger on Baudin’s ship as he mapped Australia’s southern coastline. Snippets of nineteenth century journals provided a glimpse of Mary Beckwith’s extraordinary life. From there, Chrissie Michaels filled in the gaps to offer an insight into conditions in the early convict days and the role of French explorers in Australia’s history. Convict Girl: The Diary of Mary Beckwith and Chrissie Michaels’ other intriguing story – Voyage to Botany Bay, are part of the My Australian Story series (Scholastic Australia). Chrissie joins me today to chat about resuscitating characters from history. You have two books in the My Australian Story series. I’m particularly intrigued by Mary Beckwith. Can you tell us a bit of the background to Convict Girl: The Diary of Mary Beckwith? Convict Girl: The Diary of Mary Beckwith is my second novel in the My Australian Story series published by Scholastic Australia. It was while researching the French explorer Nicolas Baudin and his voyage of discovery that I came upon the story of Mary Beckwith. She sailed with Baudin when he left Port Jackson (Sydney) and is acknowledged as the first European woman to set foot in South Australia, at Kangaroo Island. The novel is written as a diary from Mary’s point of view and covers the times she lived through after she and her mother were transported to New South Wales for stealing some cloth. Much of Mary Beckwith’s life remains a mystery. Apart from the Old Bailey trial, and the convict list giving her transportation details, there are only brief remarks made about her in some of the journals from the Baudin expedition. As well there is a reference to her in Matthew Flinders’ diary, made while he was a prisoner in Mauritius. We also know that Mary’s mother later married the colony’s Judge Advocate, Richard Atkins. This gave me great scope to breathe life into her character. What appeals to you about historical fiction? I have a thirst for knowledge about the past. 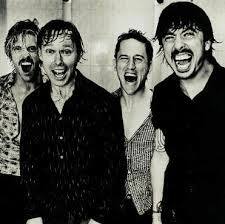 Once I go down the road, I have to know what is going on. I turn every corner. You could say I am insatiably curious. The novels I have written for Scholastic’s My Australian Story series draw upon a particular passion of mine for French history. Both novels feature a French navigator. In Convict Girl Baudin, his scientists and his officers made a wonderful contribution to world knowledge through their magnificent natural history collection. Voyage to Botany Bay similarly traces the earlier expedition of Lapérouse (aka La Pérouse) which touched on the shores of Botany Bay at the same time as the First Fleet arrived. I am pleased to think that my books may help to further our understanding and appreciation of the role that French navigators played in Australia’s history. Where do find a voice for your characters? When it comes to finding a character’s voice I think my right brain works better than my left! I tend to carry the character around in my head for quite a while, rather than make character profiles or lists. The characters themselves are shaped by the story, which these days always seem to come from a historical event that has piqued my interest. I try to walk in their shoes during the specific historical period; try to solve their problems for them as they come along. Once I discover a character’s voice the writing definitely comes more easily. The characters begin to take on a life of their own. I like to see them grow, become more independent, not always accept what is happening to them. Perhaps that is why my choice is to have characters who often live on the edge of the law. I have to make some decisive value judgements about their actions. 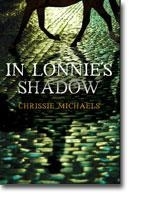 Take Lonnie McGuinness, who appears in my YA novel, In Lonnie’s Shadow (Ford Street Publishing). He was always going to be a larrikin. However, I knew he would stand apart from gangs like the Push, and the Glass and Bottle, who loitered around the Little Lon lanes and alleyways in 1890 Melbourne. Lonnie always wanted to be his own man. He was never going to be a follower. Like any modern day hero he tried to right the wrongs around him. He looked after his mates, even if how he did this was sometimes questionable. How much research goes into building authentic characters? I try to immerse myself in the era that I am researching. Because I tend to approach writing about people who have already lived with a sense of caution, I spend a lot of time cross-checking details. My coffee table collection is pretty impressive! And I spend a lot of time doing initial research via the Web. There is always an opportunity to network and call on expert help! During my writing of Voyage To Botany Bay I was able to have an on-going correspondence with representatives from the Musée de Lapérouse in Albi, as well as with the late Mr Reece Discombe who was the rediscoverer of the Lapérouse shipwrecks in the 1960s. They clarified lots of details for me about landscape and place as well. My research for In Lonnie’s Shadow began with a visit to the Melbourne Museum and grew from there. The artifacts from the archaeological dig at Little Lon, shown as part of their Melbourne Story exhibition inspired the narrative structure. 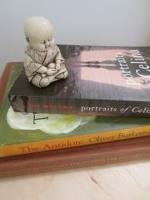 Each chapter title is an artifact with literal or metaphorical significance to the storyline. It is only a short walk across town from the museum to the State Library. I spent many an hour immersed in ephemera and trawling through microfiche records of the period (pre TROVE). There is much relief in having others validate the accuracy of your own research. I can’t tell you how pleased I was when Martine Marin of the Association of Friends of Nicolas Baudin in France (Les Amis de Nicolas Baudin) recently wrote to me, referring to my latest novel Convict Girl as ‘very well documented’. She also devoted a page to Convict Girl in the association’s latest newsletter and gave it a strong recommendation to readers. What’s next for you – more historical fiction? 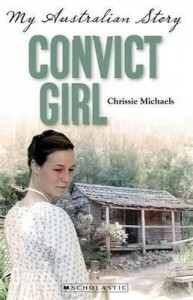 Yes, I am currently researching and writing another historical novel based on an event I came across whilst researching Convict Girl. I hope to have the manuscript completed by early next year. I also write teacher texts for primary and secondary English and History, and have a few things on the go in this area as well. Thank you for visiting, Chrissie. Good luck with your next project. 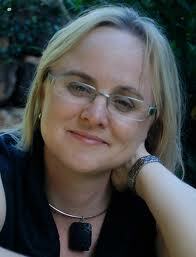 For further information about Chrissie Michaels’ novels and for teachers’ notes, visit Chrissie’s website. Visit my blog again soon, or you call follow me on Facebook and Twitter at the addresses below. 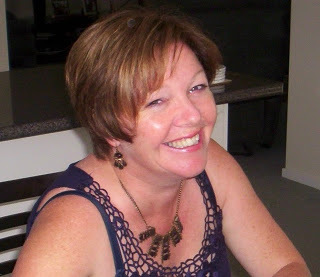 Please welcome Australian author Wanda Wiltshire to Boomerang Books. Thanks so much for joining us Wanda. Congratulations on the launch of your YA novel Allegiance, the second in the Betrothed series. 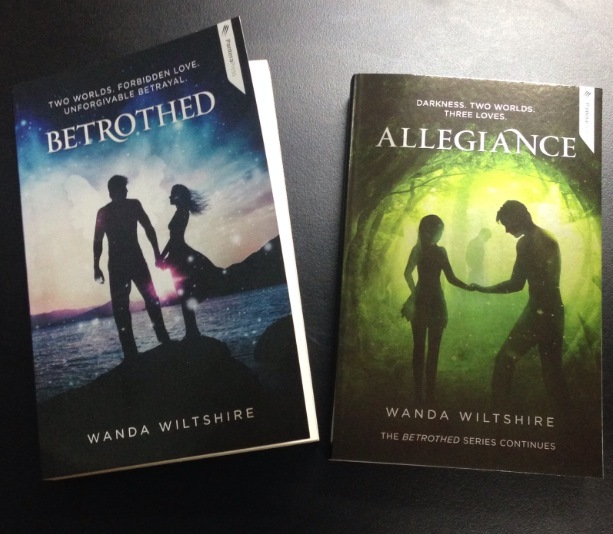 For those who haven’t read Betrothed, can you tell us a little bit about this fantasy series? Thanks Tracey, it’s a pretty exciting time! The Betrothed series tells the story of Amy Smith, a 17 year old girl with serious health issues, school bullies and a strong feeling that she doesn’t belong. In the first instalment of the series Amy discovers her suspicions are true when she meets the drop-dead gorgeous Leif in what she believes are dreams. After telling Amy she is betrothed to him, Leif urges her to seek her true identity. 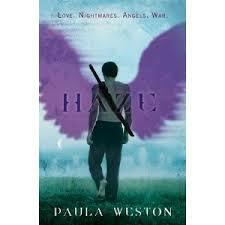 Soon Amy learns that not only is her birth name Marla but that she is a faery – exiled from her homeland, Faera. Amy – who begins to think of herself as Marla – is swept up in the thrill of her discovery and comes to believe that the only hurdle to happiness is overcoming Leif’s father, the cold and callous King Telophy. She is soon to learn there is so much more to her new reality. What’s your inspiration for the land of Faera? Betrothed was the answer to a prayer and Faera came to me as part of that. It’s the kind of world I long to live in with aspects of it continually being revealed to me. Faera is not like any particular place I’ve seen, but I do occasionally catches glimpses of it in the real world – a shaft of sunlight falling through a lush forest, a beautiful display of colour as the sun goes down or an exquisite flower growing wild. It is a place of old forests, glittering rivers and majestic mountains. The Fae create their homes amongst this beauty but would no more destroy a tree to do so than tear off one of their own wings. Faera is not a perfect world, as Marla soon discovers, but one where the Fae share the resources, do what they love and work together. Betrothed has been receiving fantastic reviews both in Australia and overseas, have you been surprised by how well it’s doing? What truly surprises me is that I wrote Betrothed. In the beginning I never actually believed I could finish it, so writing ‘the end’ on the manuscript was one of the highlights of my life. To celebrate I had a tiny book made for my charm bracelet. Sometimes I twirl that little gold book in my fingers and have to pinch myself! What I’ve found with Betrothed is that the people who love it, really really love it. I can’t say I’m surprised about that because I feel exactly the same way. I’m not very surprised either that lovers of Betrothed are looking forward to finding out what happens next. Betrothed did end at a crucial moment, and I know if I were a reader I’d want to know. 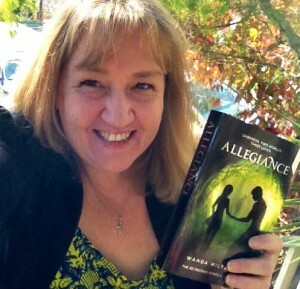 Is Allegiance a stand-alone book or should readers seek to read Betrothed first? Allegiance is the second in the Betrothed series and while I think it could be enjoyed on its own, readers will get much more out of it if they have read Betrothed first. Not only to be up to date with the story, but – love them or hate them – it’s through Betrothed we come to know the characters. We also see changes in Marla between the two books. In Betrothed she is completely dazzled by both Leif and Faera – to the point where she thinks of little else. In Allegiance the illusion of perfection is shattered. She discovers that all is not as it seems in the magical land of her birth. Nor is being betrothed to the Prince the fairy tale she imagined. Rather, she is faced with a series of challenges and obligations in her new life completely unknown in her former one. It remains to be seen how she will deal with them. You’ve created a handmade bookmark to give to the winner of the giveaway below, can you tell us how this started? How did you start making bookmarks for fans of your books? I love interacting with Betrothed’s fans. They give me such wonderful encouragement and feedback on all aspects of my writing – from my style to the characters, to the story itself. Making the bookmarks is a kind of connecting experience and a way I can show my appreciation for the support my readers give me – mostly through my author page on Facebook. And it’s a lot of fun too! I can see myself making bookmarks for each of the books in the series. Are you still planning to write six books in this series? What can you tell us about the next one? Right from the start, I knew the beginning and the end of Betrothed. That hasn’t changed. However, as I’ve written Marla’s story, more and more details have been revealed to me. In that way the series has grown. When I started writing and realized her story wouldn’t fit into one book, I thought her adventures might fill two. Two very quickly became three, then four. Five and six came to me sometime later. Honestly, I can’t see the series growing any bigger than that. The seventh book will be a prequel and occurred to me when I started to get images of how the land of Faera and its first inhabitants came to be. 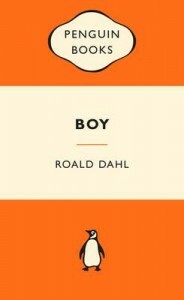 As for the third book, I can tell you the title is Confused. I will also say that as different to Betrothed as Allegiance is, so too will be Confused to each of the books that came before it. Sound confusing? Stay tuned. Anything else you’d like to share with Boomerang Books readers? Only thanks for having me, Tracey. I hope readers of Marla’s story fall in love with it. If so, come and join me and other Betrothed lovers on my Facebook page. I think it’s a friendly place to be. 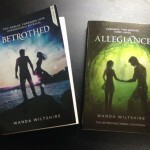 Prize: Wanda is giving away a copy of Betrothed, a copy of Allegiance and a handmade bookmark. Eligibility: you must be an existing Boomerang Books member to be eligible for this giveaway. (Not a member? Click here to join; it’s free and easy to create an online account). To enter: comment below and tell us what cause you would pledge your allegiance to. Winner announced: Wanda Wiltshire will help me to choose the winner which will be announced here on the blog. Read a FREE extract of Betrothed, here, and click here to buy the book. Read a FREE extract of Allegiance here, and click here to buy the book. Want to know who I like to curl up in bed with after a long day behind the flat screen? Curious to know how I spend the midnight hours? Well I can reveal that at least three of those listed below are amongst the many who keep me occupied into the wee hours of the night. 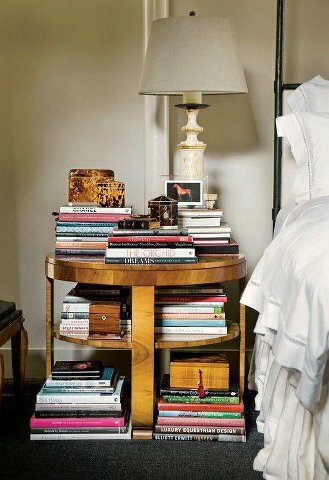 But enough about the books weighing down my bedside table. As a solution to my incurable curiosity about what makes a good read and what is good to read, I will be featuring who and what some of Australia’s most popular authors and illustrators like to go to sleep with, or bathe with or dine with…you get the picture. And so to kick off our inaugural On My Bedside Table post we begin with a clutch of very clever children’s authors and illustrators. Look carefully and you may just pick up an idea or two for your own reading list. Enjoy! 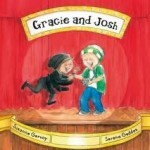 Susanne Gervay ~ Children’s and YA award winning author and patron, director and co-ordinator of numerous societies associated with Kids’ Lit. • I have a pile of picture books and illustrated stories at the moment. Maybe because I’m into picture books – of course there’s my Gracie and Josh illustrated by Serena Geddes there too. 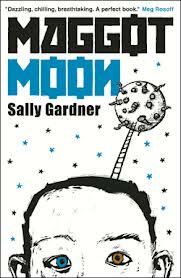 Just last night I finished reading Maggot Moon by Sally Gardner. 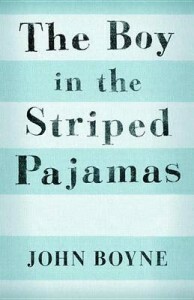 A powerful, moving book that I really liked. It’s set in what appears to be England but the country is under a vicious totalitarian rule as if it had lost WW2. 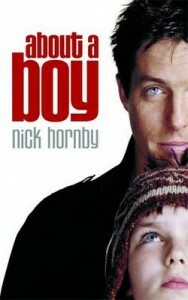 The story centres around a young boy called Standish Treadwell and the horror of his life, and eventually his attempt to expose a fake moon landing which is about to be broadcast by the government as an example of their power. I’m also at present re-reading Barry Heard’s book Well Done Those Men about his Vietnam experience and the terrible effect it had on his life. 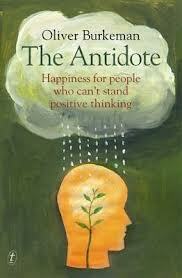 A great read and soon to be a movie. 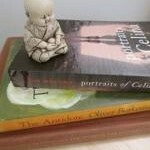 There is a funny selection on my bedside table just now! Kenneth Grahame’s The Wind in the Willows is there because I’ve been recovering from a cold and it is always my best companion when I’m not feeling well. 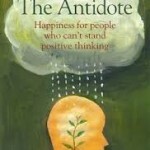 On top of that is a book by the hilarious and wise Oliver Burkeman called The Antidote, which is a wonderful critique of the practice of positive thinking. And right at the top of the pile is Sue Whiting’s new book, Portraits of Celina, which is spooky and beautiful all in the same moment. Feeling inspired yet? I am. Time to grab whatever is on the top of your pile and curl up together.